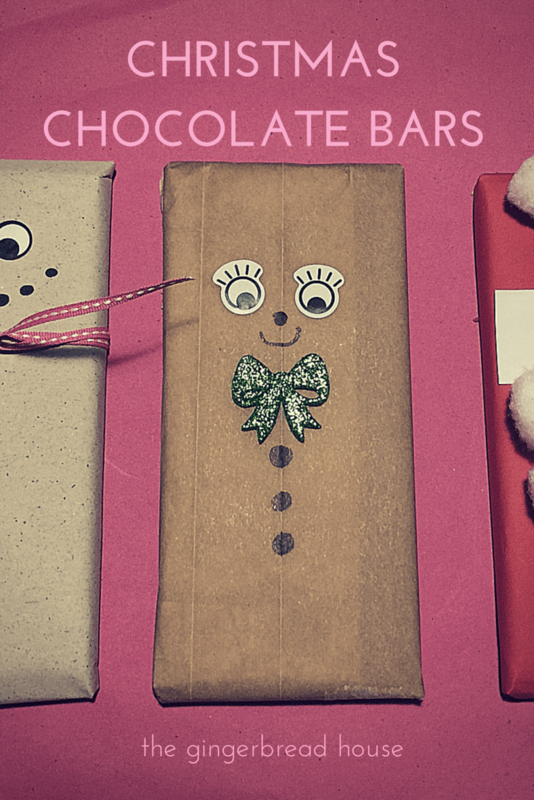 I wanted to tell you about the Christmas chocolate bars my children made over the weekend. 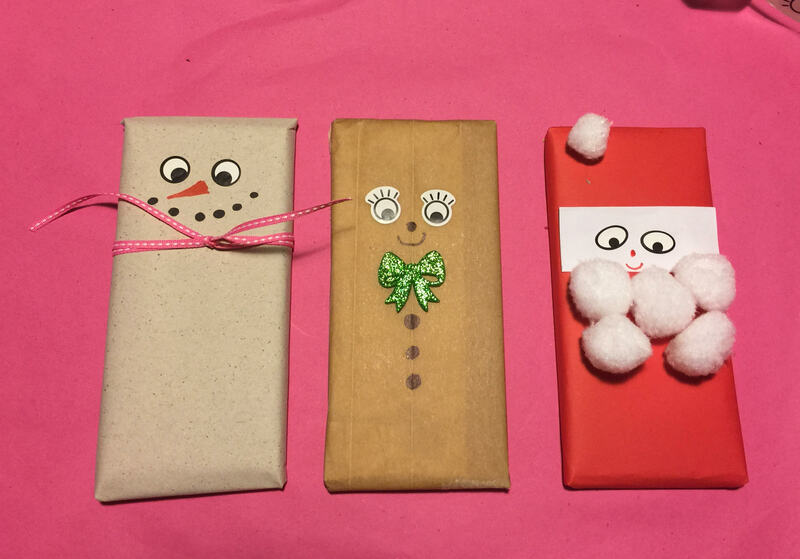 We re-wrapped shop bought chocolate bars and decorated them to give out at Christmas. I think they are really fun and make sweet gifts for children to make and give. 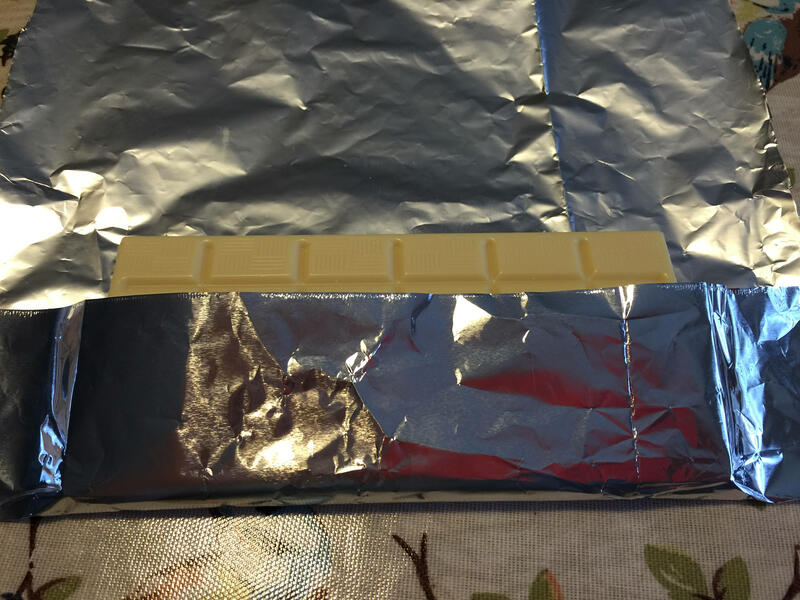 First wrap your chocolate bar in foil. 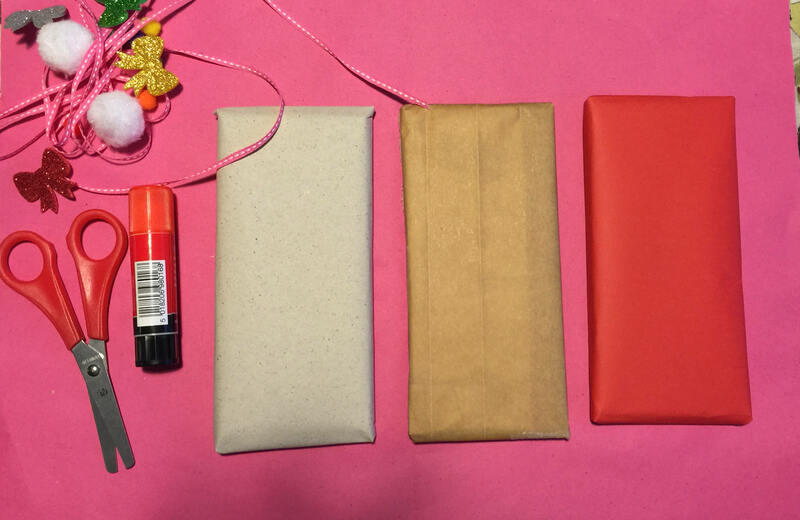 Then wrap in a layer of paper – white for a snowman, brown for a gingerbread man or red for Father Christmas. Then gather your supplies and decorate! We used sticky googly eyes, pom poms, stickers, ribbon and colouring pens to make faces and decorate each chocolate bar. We made a snowman, gingerbread man and Father Christmas but you could also make an elf, a Christmas tree or reindeer. These look great, might give this a go! What a great idea! We love the Santa one. This activity could easily be adapted for younger children too. oh these are just adorable. What a great idea. Love this – so easy and looks amazing!